A hard inert material of mineral composition such as sand, gravel, slag, or crushed stone, used in pavement applications either by itself or for mixing with asphalt binder. The particle size distribution from the largest through finest materials. A gradation having a continuous grading in sizes of particles from coarse through fine with more material smaller than the primary control sieve. Empty spaces in a compacted mix surrounded by asphalt-coated particles, expressed as a percentage by volume of the total compacted mix. 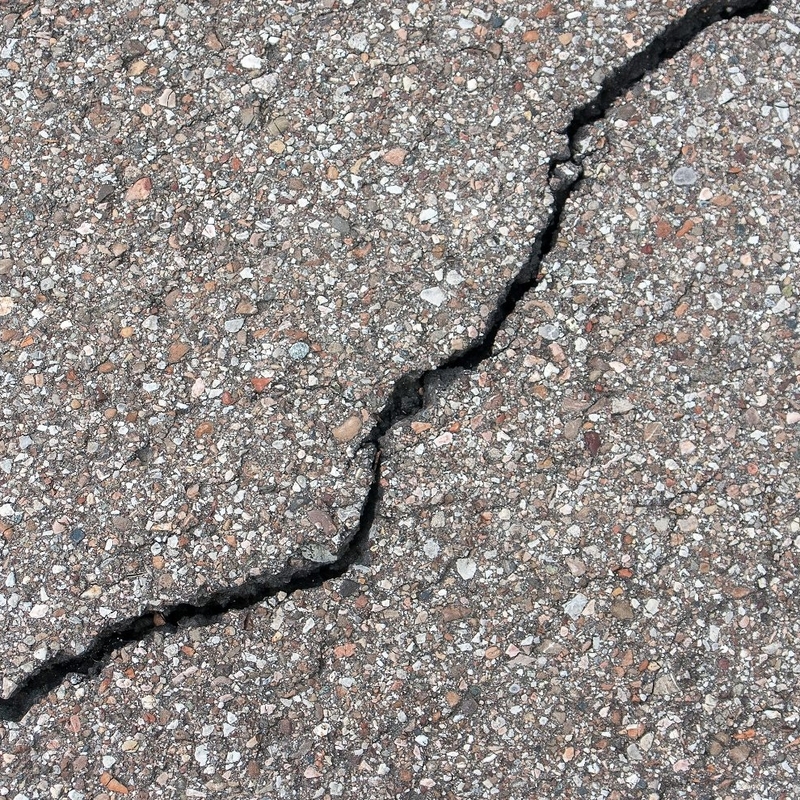 Interconnected cracks forming a series of small blocks resembling an alligator’s skin or chicken-wire, and caused by excessive deflection of the surface over unstable subgrade or lower courses of the pavement. A dark brown to black cementitious material in which the predominating constituents are bitumens which occur in nature or are obtained in petroleum processing. 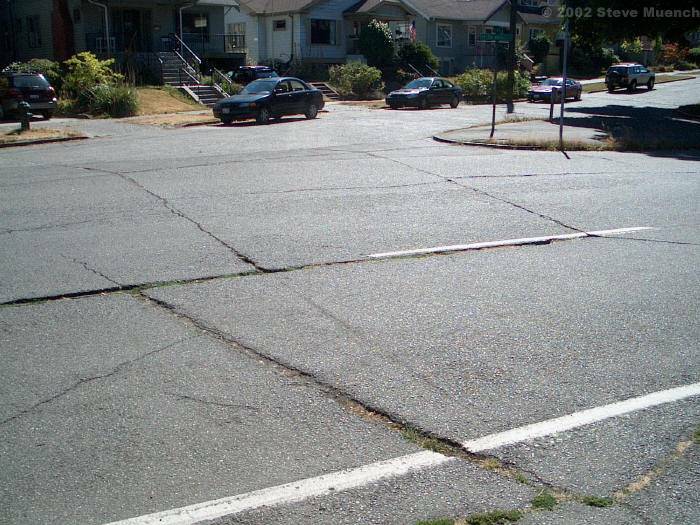 Asphalt is a constituent in varying proportions of most crude petroleums. A high quality, thoroughly controlled mixture of asphalt binder and high-quality aggregate, which can be thoroughly compacted into a uniformly dense mass. 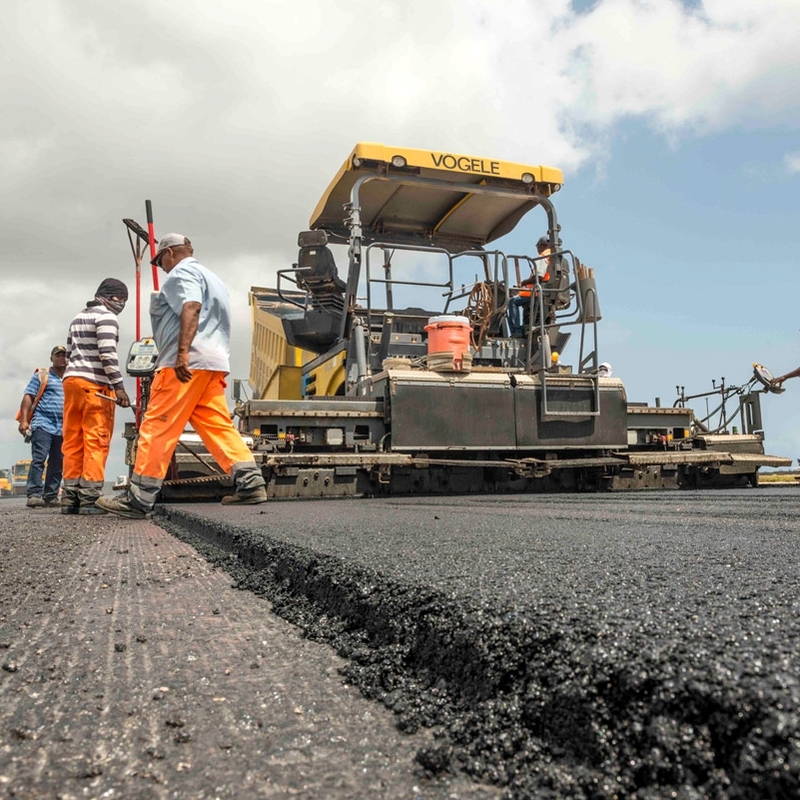 A course of hot mix asphalt of uniform or variable thickness used to eliminate irregularities in the contour of an existing surface prior to placing the subsequent course. 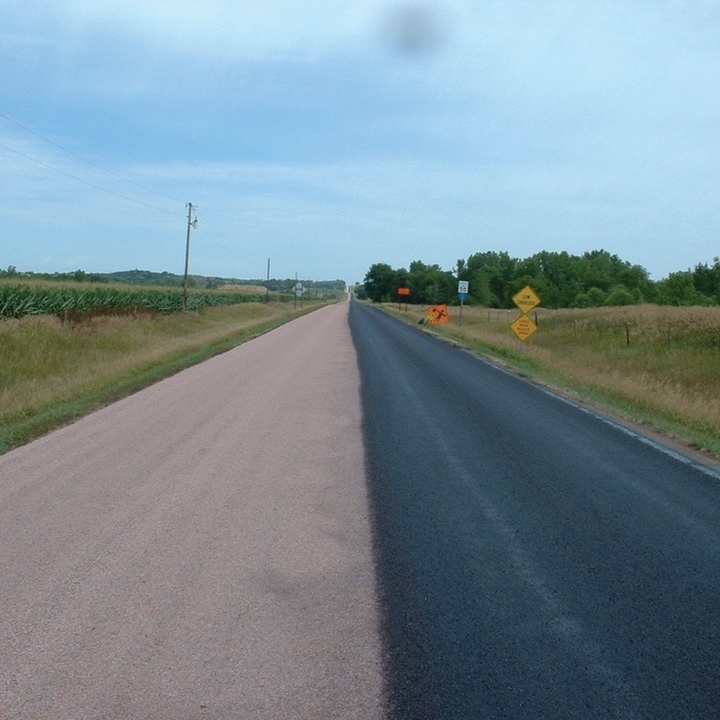 A pavement structure that is designed and constructed so that all courses above the subgrade are asphalt concrete (Full-Depth Asphalt Pavement). 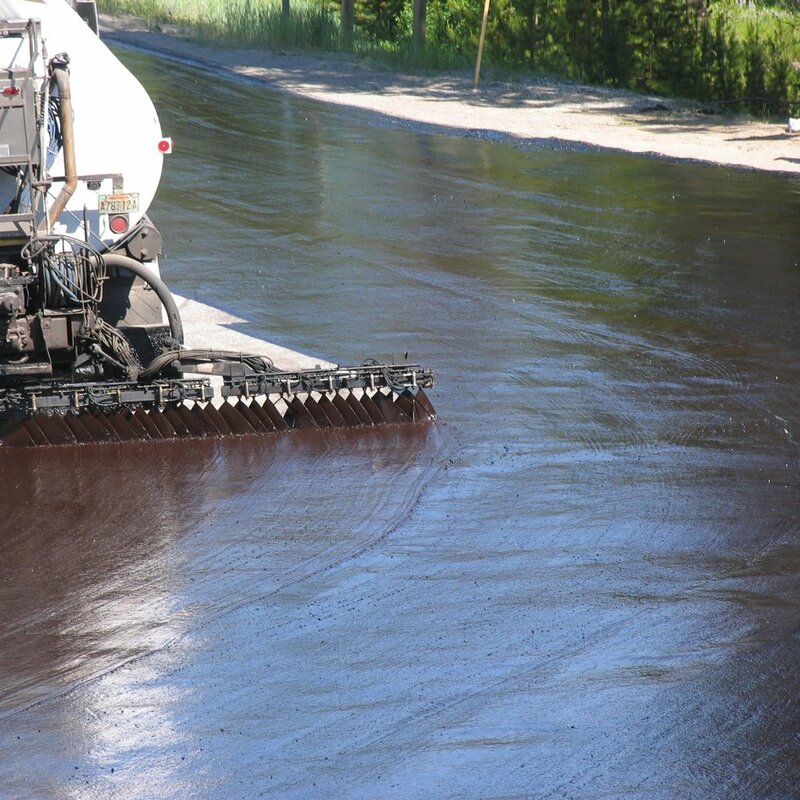 Low viscosity asphalt (highly liquid) that penetrates into a non-bituminous surface upon application. High quality, thoroughly controlled hot mixture of asphalt rubber binder (AR) and well-graded, high quality aggregate, which can be thoroughly compacted into a uniform dense mass. The layer of material immediately beneath the surface or intermediate course. 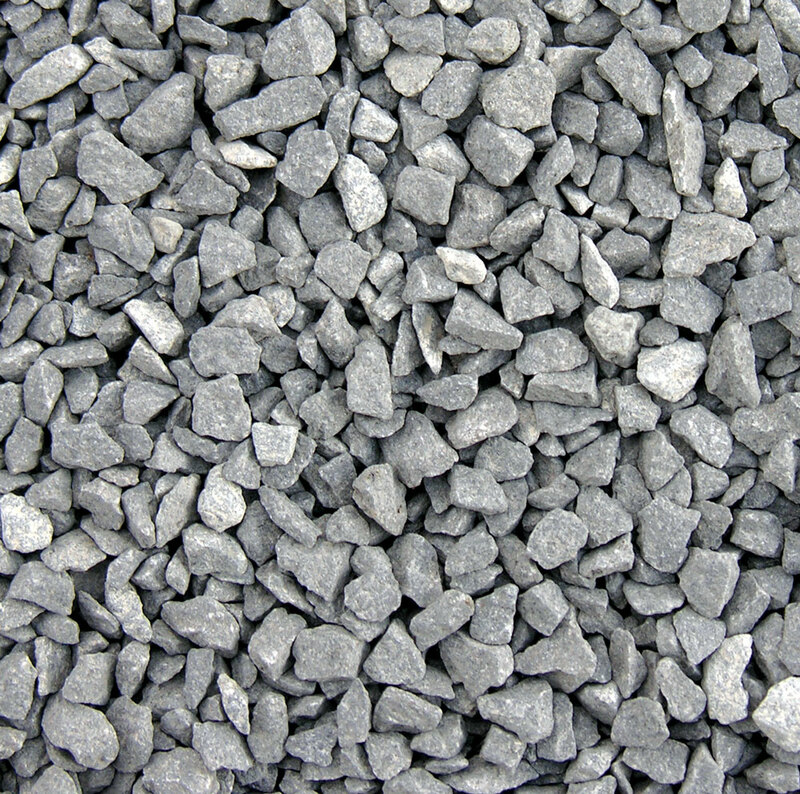 It may be composed of crushed stone, crushed slag, crushed or uncrushed gravel and sand, or of hot mix asphalt, typically with larger size aggregate. A mixture of emulsified or cutback asphalt and aggregate produced in a central plant (plant mix) or mixed at the road site (mixed-in-place). Cold mix asphalt can be produced and stored for usage at a later date. The act of compressing a given volume of material into a smaller volume. Insufficient compaction of the asphalt pavement courses may accelerate the onset of pavement distresses of various types. The degree of solidity that can be achieved in a given mixture, which will be limited only by the total elimination of voids between particles in the mass. A manufacturing facility for producing asphalt paving mixtures that proportions, dries, and mixes the aggregate with a proportional amount of asphalt in a drum. Variations of this type of plant use several types of drum modifications, separate (and smaller) mixing drums, coating units (coater), or double-barreled configurations to accomplish the mixing process. The property of an asphalt paving mixture that represents its ability to resist disintegration from the environment and traffic. Aggregate passing the 2. 36 mm (No. 8) sieve. 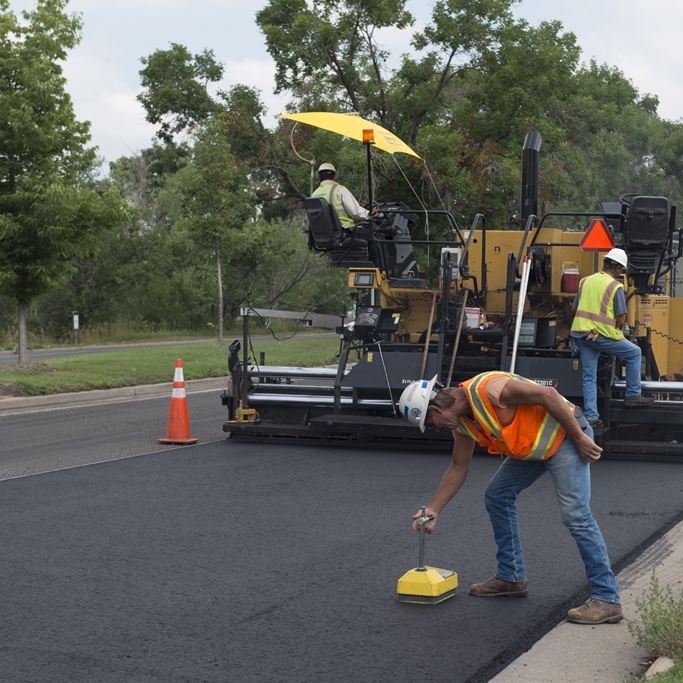 The term FULL-DEPTH (registered by the Asphalt Institute with the U. S. Patent Office) certifies that the pavement is one in which asphalt mixtures are employed for all courses above the subgrade or improved subgrade. 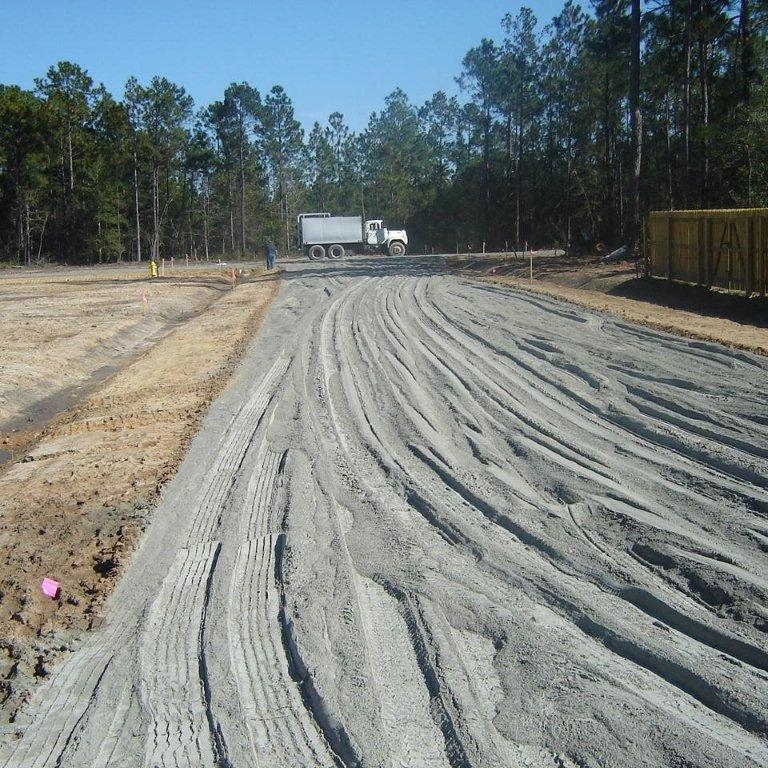 A Full-Depth asphalt pavement is placed directly on the prepared subgrade. Localized low areas of limited size. A subgrade preparation technique in which the subgrade soil and added lime are mechanically mixed and compacted to produce a higher modulus base material than the in-situmaterial. 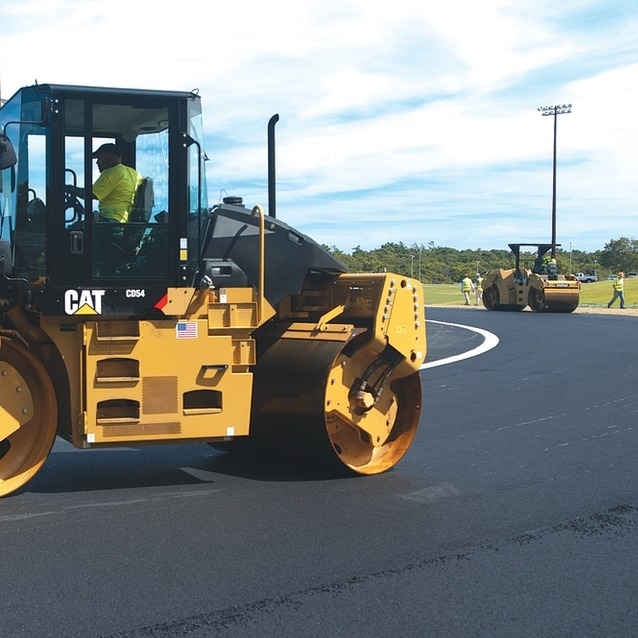 A pavement, including all of its courses of asphalt-aggregate mixtures, or a combination of asphalt courses and untreated aggregate courses, placed above the subgrade or improved subgrade. A self-propelled unit having a transverse cutting and mixing head inside of a closed chamber for the pulverization and mixing of existing pavement materials with asphalt emulsion. 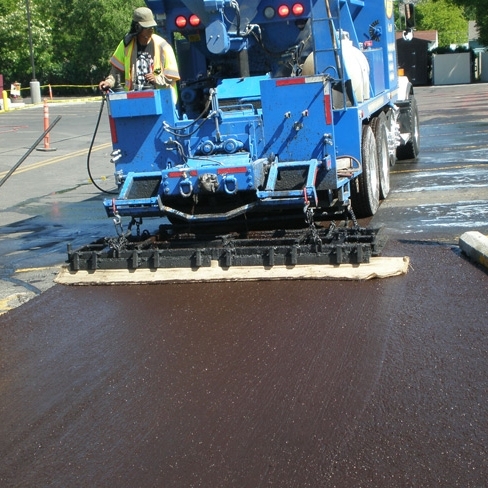 Asphalt emulsion (and mixing water) may be added directly through the machine by a liquid additive system and spray bar. A mixture produced after processing existing asphalt pavement materials. The recycled mix may be produced by hot or cold mixing at a plant, or by processing the materials cold and in-place. 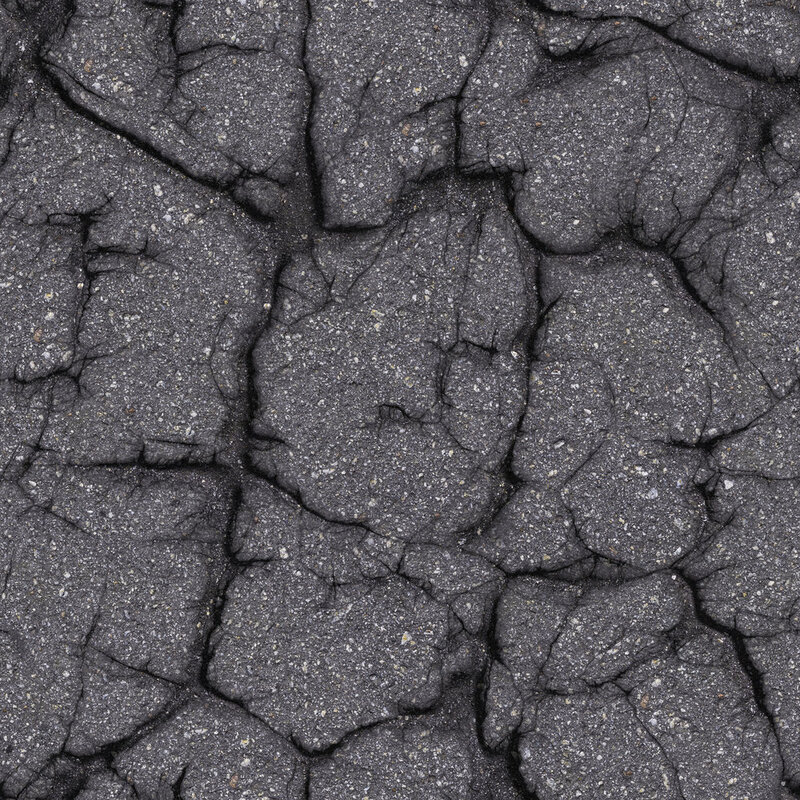 The asphalt binder that remains from an asphalt emulsion after the emulsifying agent has broken and cured, or the remains of a cutback after the volatile shave cured. 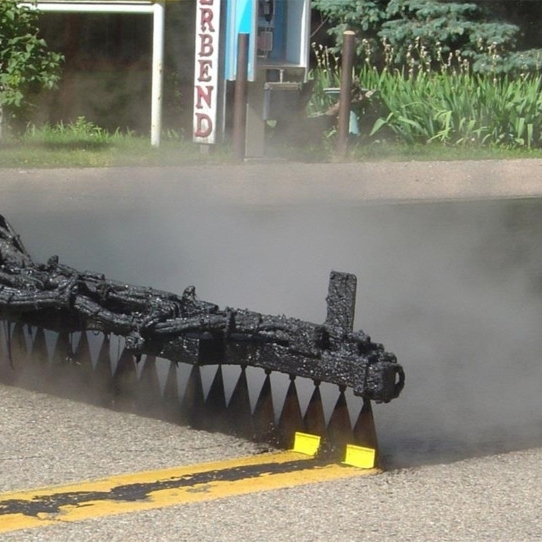 A thin surface treatment used to improve the surface texture and protect an asphalt surface. The main types of seal coats are fog seals and chip seals. 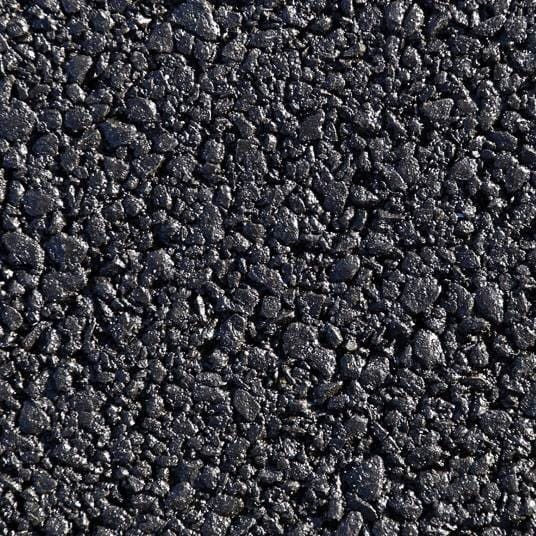 A mixture of emulsified asphalt, well-graded fine aggregate, mineral filler or other additives, and water. A slurry seal will fill minor cracks, restore a uniform surface texture, and restore friction values.